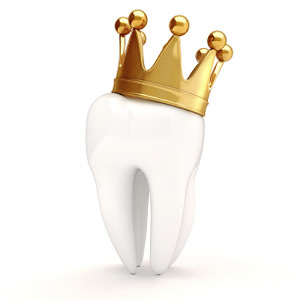 While your teeth may look smooth, the outer surface, called the enamel, is actually very porous. It contains tiny pits, ridges and crevices. These little spaces in the enamel trap the pigments from deeply pigmented food and drinks and over time, change the color of your teeth from white or off-white to grayish or yellowish. Here, the office of Drs. Jeffrey Hosford and Carol Karofotias of Comprehensive Dental in Atlanta, GA explains the science behind staining from two popular drinks - coffee and wine - and how to keep your teeth white while enjoying them. Raw coffee beans are actually light green in color, but when they are heated above 285°F, the melanoidins they contain turn the beans a deep brown. This roasting is also what gives coffee its complex flavor. Melanoidins are the pigments that stain your enamel. Red wine gets its deep hue from the amount of time that the fermenting juice is exposed to the outer skin of the grape. Wine aged in wooden barrels, specifically those made of oak, will also draw in some of the wood's pigments as well. The compounds that give grapes their color are called tannins, which contains molecules that are naturally inclined to bind to surfaces on which they make contact. When that surface is your teeth, they eventually become discolored. Compounding the problem is the fact that both coffee and wine contain acids, which actually "etch" the enamel and add to the uneven microscopic landscape the teeth naturally have. The most effective solution, therefore, is to avoid these drinks altogether. However, this can be a daunting task for those who need coffee to get their morning started or enjoy wine tasting as a hobby. In this case, your Atlanta cosmetic dentists suggest chewing a piece of sugarless gum after imbibing. This process stimulates the production of saliva, which helps to neutralize the acid buildup from the beverages. Dr Hosford and Dr. Karofotias can also apply whitening treatments in their Atlanta dental office for noticeable stains. Regular use of whitening toothpastes and keeping up with your bi-annual visits to Comprehensive Dental in Atlanta will help you retain a bright smile while enjoying your favorite beverages.